As a musician’s wife, following a band around doesn’t seem that glamorous or even that unlikely. Truth is, I don’t go to gigs that often, and when I do it’s rarely a band that I’d choose to see. That sounds bad. The point of this item on the list is to celebrate a band that I DO want to see and to help guide my choices in attending shows over a period of time. As a musician’s wife, I do know that there is value in seeing the same show over and over; you get to know the music in a different fashion and have different expectations of the show than if it’s a one time thing. So, I wanted to follow the band. Spring of 2010 Sting announced his new venture, and a new tour: Symphonicity. 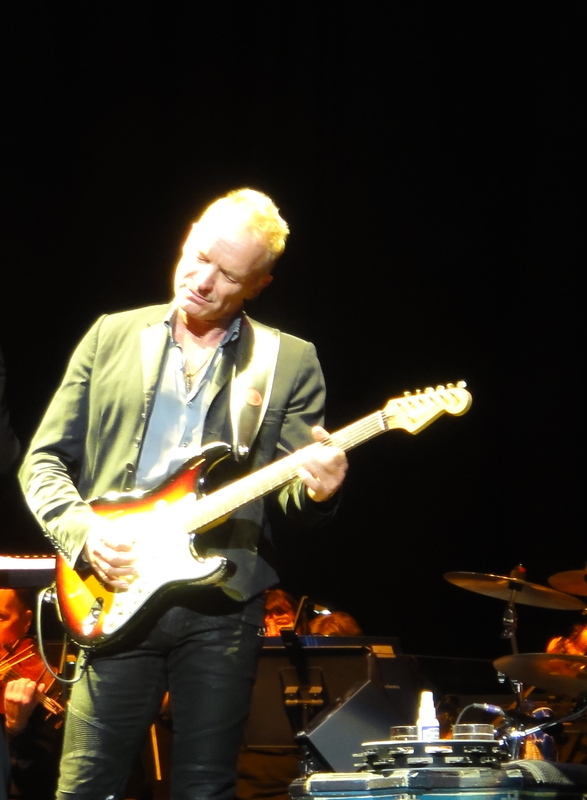 Sting would be performing with the 45-piece Royal Philharmonic Concert Orchestra. Wow. I had a look at the extensive North American schedule against my summer plans and my husband’s work, and determined that Sting would be playing in Vegas during the week we had planned to have a short anniversary vacation. Sold. It was going to be amazing, but it wasn’t enough. I had also looked at some European dates. 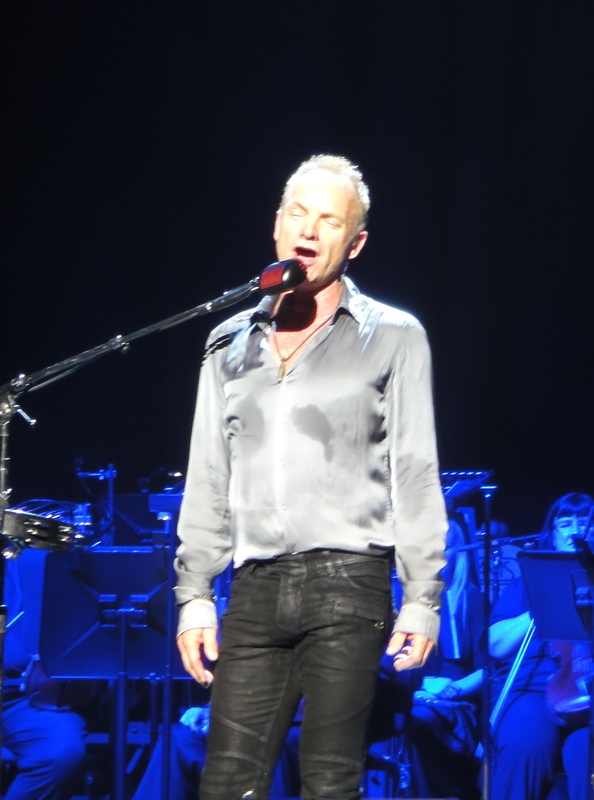 The tour was going to Newcastle, Sting’s hometown. I thought that would be a fun show, so boom! Tickets – great seats! And then, what a treat it would be, I thought, to see Sting play with the Royal Philharmonic in the Royal Albert Hall, which was built for them! On the night when I got out of bed to buy those tickets (as they went on sale at 10 a.m. in London), I was sorely disappointed in the seats I was able to get, but still, it was going to be great. In the morning, I couldn’t resist having another look, just in case new seats had opened up, and lo and behold, they had added a whole other show! Feeling like somewhat of a stalker, I snapped up seats at that show too, with much better results. June 18, 2010 I was among hundreds of fans in the theatre at the MGM Grand to see a wonderful show. I may have mentioned this, but I love Sting. His lyrics speak to me, I love the music, he performs with such joy and passion that you can’t help but be swept along. Every little thing he does is magic. Before it all happened, I had that moment of “if I don’t do this, I will regret it.” Who wants to live like that? Next stop: Roger Waters in Belgium, May 2011, to see “The Wall”! ~ by ktatkins on December 15, 2010. This is so cool. I saw Sting one one of his solo tours a few years ago and loved it. This is such a great item. Hi! This post is wonderfully reminiscent of my own feelings for a band, who I desperately want to follow on tour. I was just wondering if you could give me some tips on how to go about planning that kind of thing, since I’ll probably be about 19 when they next go on tour and I have little experience of travelling around the world.